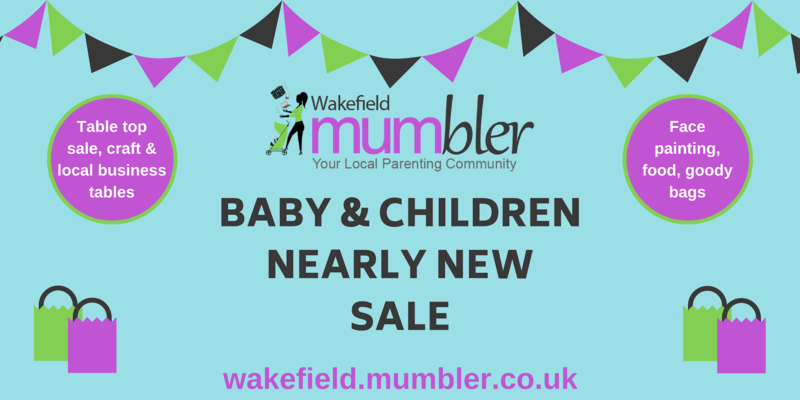 Come and grab some bargains at our Wakefield Mumbler Baby & Children Nearly New Sale! 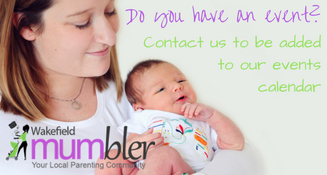 There will be loads pre-loved clothes, toys and equipment for babies, toddlers and children! 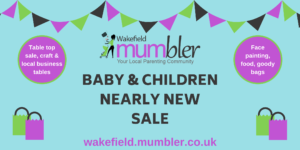 Whilst you grab the bargains there will be face painting, by Peekaboo, to keep your children entertained (FREE), a cafe selling cakes and refreshments and each family will be able to take a goody bag home! There will be a select number of our favourite local business at the sale! Please note due to health & safety reasons children under the age of 2 are unable to have their faces painted. You will be provided with a (one) 5 – 6 foot table. You can also bring a small clothes rail to display clothes and we will ensure you have space at your table if you are bringing any large goods such as prams, travel systems, high chairs, etc. There is no extra charge for this, please just let us know before the sale. 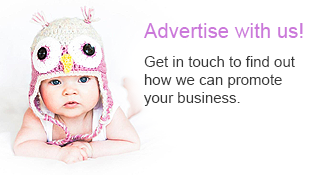 A sellers information pack will be emailed to you once payment has been received.